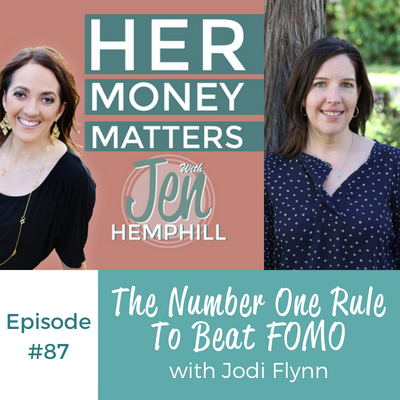 FOMO (Fear of Missing Out), this is one challenge Jodi Flynn has had and has been able to overcome with this one simple rule. This is a snippet of what we get to see as we get a special glimpse of her money story and the lessons she learned. Jodi was born to a family of 10, with her father being a plumber, and her mother a homeworker. They were very generous with their time and money, and contributed as much as they could to help those less fortunate, and to their church. Her parents gave freely without expectations however were not open to receiving. She shares her views on how women have a hard time negotiating their value, whether it’s for a job or for their business. Having been brought up to give and not receive, Jodi shares her own challenges honoring her worth and receiving compensation for her work. Through the years she has broken down her own barriers and found the tools and awareness to receive fair compensation for her work, and now teaches this to other women. 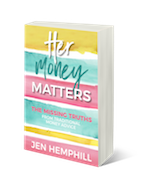 In revealing the best money advice Jody has ever received, she tells the story of how she was reading a magazine about women and money. Although she can not remember the name of the magazine, the advice invaluable – Treat yourself like you are a business. For her logical mind, this made total sense, and allowed her to see her finances in a completely different light, as well as her attributes and potential in a way she couldn’t quantify before . Jodi easily invests her money in herself, be it for education and learning new skills, leveraging her business, or even eating healthy and doing activities. She knows the value of investing money in herself and in her business. In terms of challenges with money, Jodi finds the contrast of a regular paycheck versus the fluctuating income being self-employed brings, the most difficult thing to manage. Recently she has applied a new way of budgeting that involves knowing the minimum monetary requirement she needs, and having a plan for anything extra. She makes a point of checking in with her finances at least once a week, and planning for the next 30 days of income. 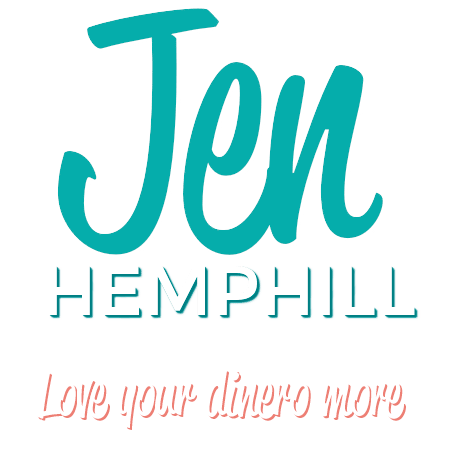 Jodi favors the use of spreadsheets, and along with awareness, tools and planning, used them to get completely out of debt when she was 32, which was her proudest money moment to date. However, she like everyone is not immune to the ever powerful marketing tactics companies use to create the FOMO (Fear of Losing Out) syndrome. Her worst purchase? Buying a piece of software that was over $1,000 that she didn’t need yet, but that was on such a great promotion. She repeated this on three different occasions, and ended up using the programs either very little, or not at all. She now has a steadfast rule around software purchases – if she didn’t need it before the sale, she doesn’t need it now. The program PowerPay is a great tool to help you pay down your debt. Find it at https://powerpay.org/. I want to hear from you! What was your favorite takeaway from this episode? Please share in the comments below or come on over to our community and share with us there.